Editor’s Note – This is an archive of Quotacy’s first Newsletter, which was sent out on 11/22/2016. The Quotacy Newsletter consists of articles that we hand-picked from across the web, and they’re all about keeping our readers healthy so their lives are as great as possible. We go over topics ranging from physical fitness and dietary advice to cyber security and financial planning – anything that can help make life easier. Over 12,000 readers get our health tips delivered straight to their inbox, and you can too! Subscribe to Quotacy’s bi-weekly newsletter here. Be happy for this moment. This moment is your life. This deep dive into how password thieves operate follows three white-hat hackers (professional computer programmers paid to test and improve the security of online services by pointing out any flaws) as they decipher a list of randomly generated passwords. During the hack, they run through the reasons why certain passwords aren’t very secure, and offer tips on how to best protect yourself from common tricks of the hacking trade. Breakfast is the most important meal of the day for a reason – jump-starting your metabolism in the morning with a healthy breakfast has been shown to lead to higher energy levels throughout the day, improved mood, and even weight loss. This collection of recipes offers simple, healthy ideas to give you more options to start your day off on the right foot. Explaining advanced concepts in science simply is often very hard to do. This wasn’t the case with the work of Drs. David Thouless, Duncan Haldane, and Michael Kosterlitz – who won the 2016 Nobel Prize in Theoretical Physics for their groundbreaking research into the way that particles move at the atomic level. Their work was summarized by Dr. Thors Hans Hansson at the award ceremony, who found a clever way to explain impossibly complex science to the rest of us by playing with his food. Jeremy Hallett, Quotacy’s founder and CEO, was recently interviewed about his life, business, philosophy, and his vision for making high-quality life insurance advice available for all families. If you want to learn more about who we are and what drives us as a company, this interview sums us up pretty nicely. Accounting is one of the most helpful and least-studied skills you can bring into your life. Having a solid grasp on the financial principles that make the world go round can help you at any step in your life, from balancing your checkbook to managing the money for your business. Investopedia’s free online primer can help you understand the basics of the practice and improve your financial know-how. By looking at life from a different angle, you can actually make yourself happier. Through this simple mindfulness exercise, you can better assess your wants and needs, and think of new ways to bring your life into a happy equilibrium where you can get everything you want. And have a great day! 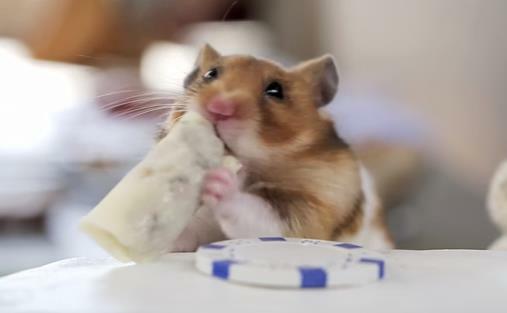 If you need help, here’s a video of a hamster eating a tiny burrito. The Quotacy Newsletter consists of articles that we hand-picked from across the web, and they’re all about keeping our readers healthy so their lives are as great as possible. Eric moved from sales to communications at Quotacy. His writing is informed by his experience guiding hundreds of people through their own life insurance buying journey. 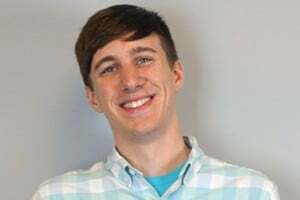 Eric lives in Minneapolis, where his coworkers are trying to convince him to start his own podcast, do stand-up, or take his humor into the spotlight. Connect with him on LinkedIn.